About 3 years ago I found the coolest cast iron skeleton keys at a local antique market. I had no idea what I was going to do with them…. but I knew I had to have them! Fast forward 3 years and I FINALLY put them to good use! And I doubt I could have come up with a cooler way to use them than in this wire wrapped skeleton key wind chime! Got some skeleton keys you’d like to use in a creative way? 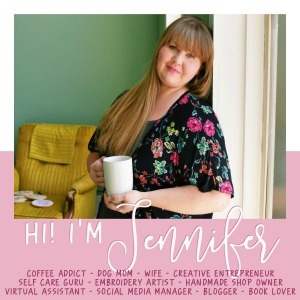 Here’s how I made this fun wind chime! This is pretty and sparkly wind chime is pretty easy to whip up. Wrap the wire around the key, adding the glass beads at random intervals. Once all the keys are wrapped, tie them to the plastic embroidery hoop. I tied them at different lengths to make it a little more visually interesting. Make sure the keys are evenly spaced around the embroidery hoop so that it hangs level. Attach to a tree, hand from your house or in a corner of a room. Fun, colorful and musical! This DIY Wire Wrapped Skeleton Key Wind Chime is Charming! Have you come across any skeleton keys lately? What did you do with them? What would you do with them if you had some? I love skeleton keys! This is such a creative and cute way to use them, I never would have thought of it! I love this so much! I have a bunch of old keys and might have to try this! Oh, this is lovely. I will be searching for keys now. I love the colorful wire! Wow, I really like that! So pretty and different. 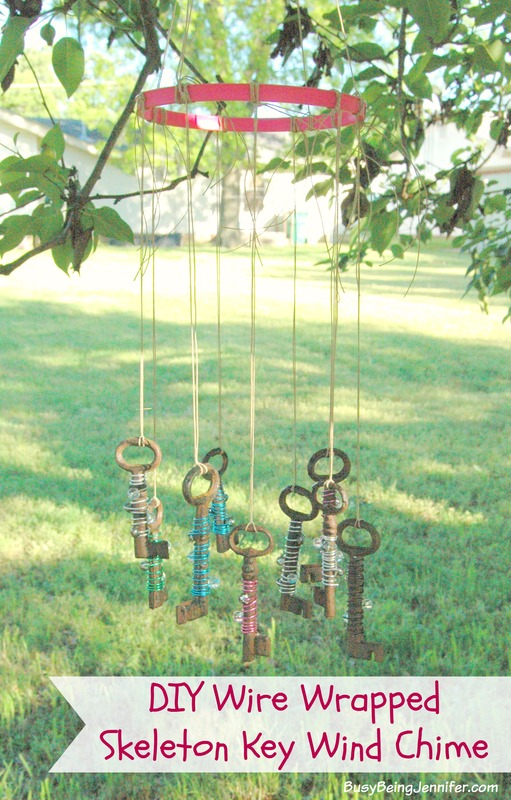 I just love the rustic look of skeleton keys – how clever to use them for a wind chime! What an adorable way to repurpose vintage keys! I love this idea!! Makes me want to check out some antique markets to get my own set of keys! And I love how you added a little sparkle with the wired on beads! So unique! This came out really great! I love giving new life to old things! Simple and nice idea! Also easy to create for children and beautiful to look at.